Carrell Group’s Estate Division has several magnificent homes on its resume. This home, but in the Raleigh/ Durham/ Chapel Hill area, is one of those homes. It is nearly 18,000 sf on 5 acres of land, and features a number of breathtaking features. The home was completed in a little over one year, and stayed “on budget” for the client. 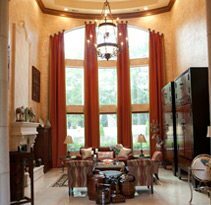 If you are considering a highly custom project for an Estate size home, we would love to discuss our experiences and services with you. Below is a link to view the featured article from the Chapel Hill Magazine & The Weekly. Photos taken by photographer Brian Brough.